Six friends. One killer. Who do you trust? A teen girl is missing after a night of partying; 30 years later, the discovery of her body reopens a cold case in an absorbing novel featuring a small-town cop determined to finally get to the truth. Not my typical genre but I loved it! DC Gary Goodhew is intelligent, intuitive, and the youngest detective at Cambridge's Parkside Station. 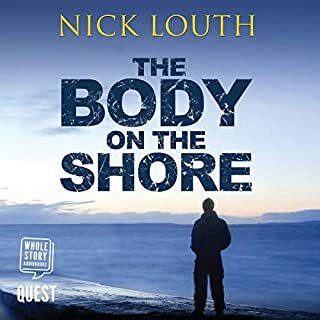 He is the first on the scene when the body of a young woman is discovered on Midsummer Common and for the first time in his career is given the chance to work on a murder investigation. Soon there is an identity for the victim: Lorna Spence. Richard Moran, her boyfriend and employer, has reported her missing and is distraught to discover that she has been killed. He claims she was loved by his staff and his sisters, reserved Alice and vulnerable Jackie. 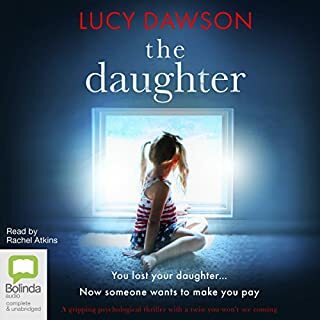 He says she had no enemies but it isn't long before Goodhew discovers plenty, including her high maintenance colleague Victoria and Goodhew's reckless former classmate Bryn. They both swear that they have nothing to do with Lorna's death but Goodhew knows someone is lying. Then there is another brutal murder and Goodhew knows it is time to use his own initiative to flush out the killer, even though it means risking his job and discovering the truth about the one person he hopes will be innocent. 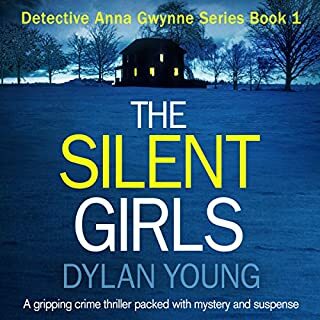 Excellent police procedural set in Cambridge, UK featuring 25-year old DC Gary Goodhew, a new detective, who is viewed with mistrust and envy due to his quick rise to the DC role. The book follows the stories of suspects, victims and police, showing the varying point of views (POVs) as we seek to unravel this complex mystery. DC Gary Goodhew is a bit of a maverick at the station, following his own methodologies and uncanny hunches, much to the chagrin of his boss, DI Marks who is determined to make Goodhew a team player or let him go. I loved the writing, especially how well all of the characters were fleshed out and the intricate relationships between the families and the co-workers. Jonathan Broadbent did an excellent job with the narration, although his pacing can be a bit "off-putting" at first. This is the first in what will become a series, featuring DC Gary Goodhew. In this book, we are introduced to the characters who will move through others, such as Marks--the boss who cannot understand Goodhew's unconventional way of moving through a case, and is almost ready to fire him before he realizes that he actually does have the talent to put clues together. Also, there is the unpleasant detective Kincaid, a colleague who is less than likable. There is Mel, another colleague who plays the saxophone, but Goodhew's favorite woman is: his grandmother, who is also his best support. 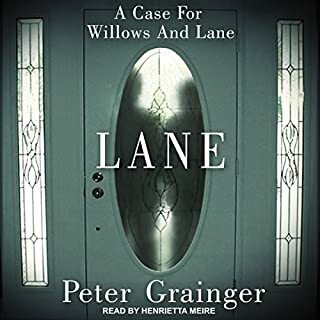 This book involves the need to sort out a mystery spanning some years, that leaves the reader considering various of the key people at different points, and comes to its climax with Goodhew acting according to what he thinks he has to do, even if it costs him his job. Almost too late, Marks realizes he has a talented officer, and supports him in solving the crimes. Alison Bruce is an excellent writer. 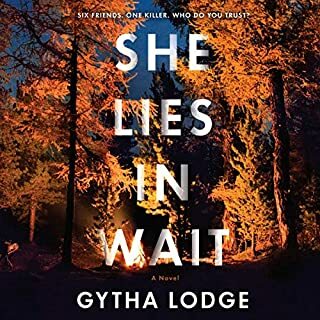 Not only does she offer a very intriguing mystery, but she has a gift for presenting the details of a situation providing the building tension that brings the reader directly into the moment and keeps the story from being simply a series of scenes offering clues. Also, she has the ability to let the story move back and forth in time, as it plays itself out. She develops this style in future books as well. Recommend! A little too much gore in places where it is unnecessary? I'm not put off by violence to suggest evil, but it was strange how gore just popped up in the most unlikely places. This is a real procedural type novel that feels a little like a first time outing. Good, maybe the next will be great? 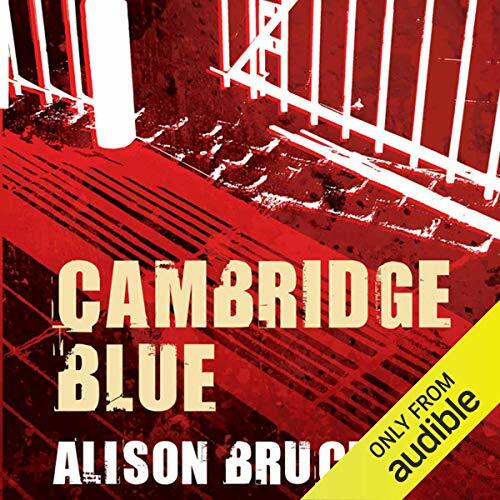 I love reading books about my home town and Alison Bruce does a good job with Cambridge (to be listening to the book whilst, coincidentally, walking the same street was a tad surreal though!). I'm not sure that Goodhew's behaviour would get the same response in a real life police force but, hey it is fiction. I do have issues with the narrator though - he sounds young and Goodhewish to be sure but he mispronounces local names which really bugs me and I find myself wanting to yell at him when he does so - not a good look when you are walking in town! I will follow the series though, I enjoy the context. What disappointed you about Cambridge Blue? What aspect of Jonathan Broadbent’s performance would you have changed? He should work on his flow, making narration more natural. The characters are interesting and mostly well portrayed. I realize I might be owning up to the decline of my gray matter when I say, I did not get this. Who's speaking? That's very hard to keep track of. The characters are extreme: the treacherous sister, the jealous brother, the victim with a big secret, the other victim who had a dog and managed to get away, although I gather she goes down later. I managed to keep listening, backing up several times to replay chapters that lost me the first time, until the cop hero appeared. Is that early on? I'm hours into this story, and I'm lost. Is drooling next for me, or is this story a mess? Maybe if I'm desperate to listen to something, anything, I'll come back to this, but I'm thinking of asking for a refund. Also, this story is way, way unpleasant. Good writer, but nasty. Better narration - all emphasis in this reading on wrong words - irritating and irrational. 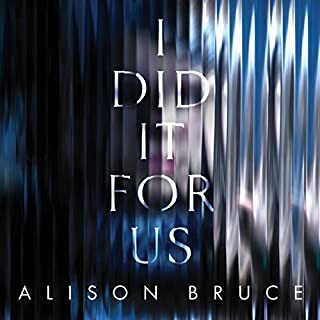 Would you ever listen to anything by Alison Bruce again? not really - it was so hard to get past the distracting reading. I aborted my first attempt at listening to this book as I struggled to get a grip of the characters. However, a few months later, and because I was on holiday without wi-fi, I decided to try again. How glad I am that I persevered. In the end I just couldn't stop listening. My I-pod went everywhere and my husband got a little irate at trying to talk to me with my headphones in. I was kept guessing until the end and can't wait to start listening to Book 2. I do agree however with a previous reviewer about the lack of characterisation of the narrator, particularly the women's voices. I do appreciate that it's always difficult for a man to speak a woman's voice and vice versa, but other narrator's manage it and I think that this was one of the reasons I had initial difficulty sticking to the story in the first instance. This is a minor niggle however for a great story well written and generally well read. Has Cambridge Blue put you off other books in this genre? I will not be getting any more by this author. I was disappointed in this book. The story didn't flow well. It is trying to be a Cambridge Morse but unfortunately is not up to the same standards. I will not be getting any more in the series. If not a wholly original premise the photos well constructed with few obvious plot holes. Importantly the focal character is interesting and well rounded and there were no glaring plot devices to (yes, some but doesn't there have to be) to lead him to the resolution. Now, the narrator. Initially it felt like I was listening to a first year RADA project but I am glad I persevered. He has a young voice but managed to characterise competently and after a chapter or two he became irrelevant to the story. Sounds like faint praise but that should be the aim of all readers in my view. I have romped on to#2 in the series! Who might you have cast as narrator instead of Jonathan Broadbent? Possibly Sean Barrett or Robert Glenister, although their voices might be too mature for the part of Gary Goodhew. I enjoyed listening to this book but while the narrator is competent, he is not outstanding. His characterisation is virtually non-existent, and at times I had to go back, or think hard, to figure out who was speaking in a conversation. It made the story a little difficult to follow at times, and made the characters a little bland. Still a good listen though. I read this with the fact that this is the first in the series by Alison Bruce and may well be her first book in mind I think she keeps pasting in Cambridge into the scene and it is laboured and not relevant to the story line. Indeed Cambridge features less and less as the book progresses. I think it is obvious that this is a book produced early in an authors career as she overworks similies and tells the reader rather than showing. Ms Bruce would do well to read - oops sorry - listen to Chris Brookmyres latest novel where he leaves huge chunks for the reader to infill rather than over-burdening them with huge amounts of detail. No. I found it very run of the mill & found it hard to empathise with any of the characters. The narrator used the same voice for each character, making it difficult to keep track of who was speaking. I gave up after the first half of the story, which I rarely do. Would you be willing to try another one of Jonathan Broadbent’s performances? Could you see Cambridge Blue being made into a movie or a TV series? Who would the stars be? No. Too run of the mill. Would you try another book written by Alison Bruce or narrated by Jonathan Broadbent? I would not read another Alison Bruce book - I found her work far too wordy, the story lacked pace and there was little tension. Whilst appreciating this is fiction I found that it was far too beyond belief in the way the police were portrayed. Characters were too shallow. At times I felt I was in the middle of a piece of contrived 'easy summer reading'. Something grittier - maybe a David Hewson if I can find one I haven't heard - or try a different Scandinavian crime writer. What character would you cut from Cambridge Blue? Difficult to say - none was memorable enough or even induced enough of a dislike to get rid of anyone, all rather boring!